Well, true enough, Jabber. Just one egg in one ‘basket’ for this recipe. But they’re yummy! 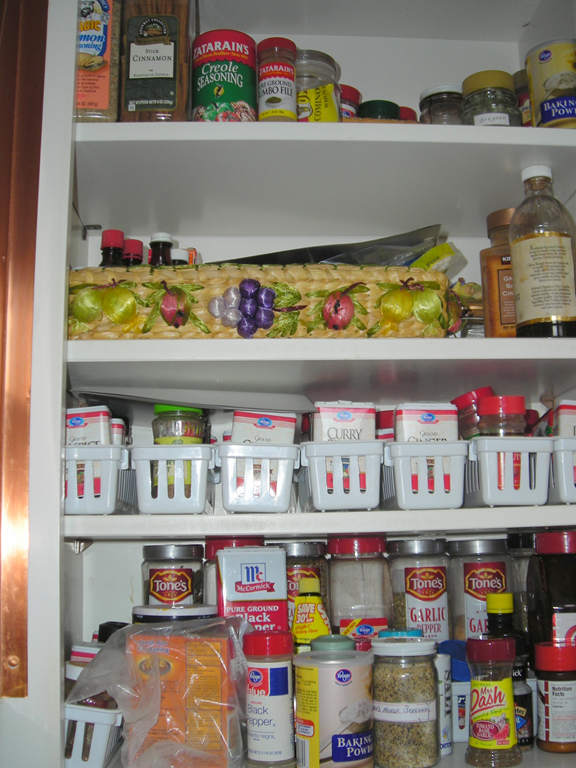 I’ve been straightening out the pantries—yes, I have more than one. Making lists, organizing and cleaning each one, one at a time. 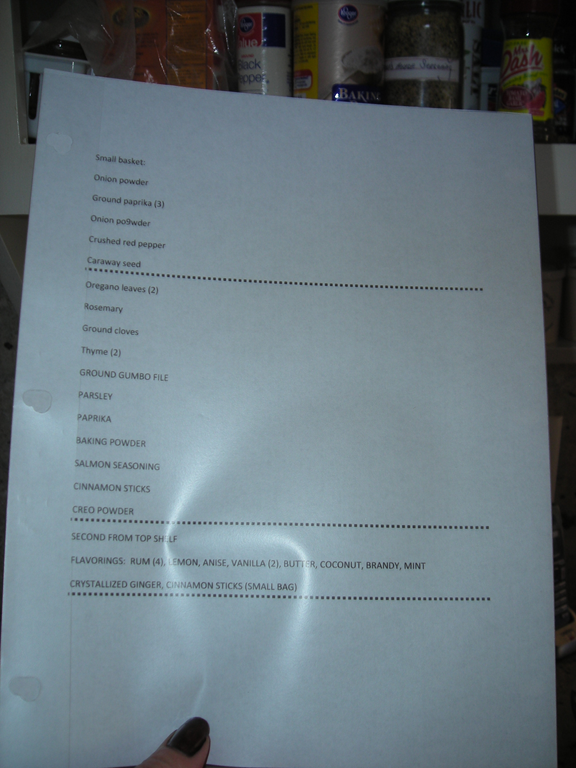 This past weekend, I organized my spice pantry, finding I had duplicates of some spices, so I made a list. And alphabetized them. Because, well, you know how it is: you go to the store, have a recipe in mind, can’t recall if you actually have a certain spice on hand, so you buy another. When you get home you see that you already HAD that spice (or sometimes you don’t run across it for a while). The little white plastic trays were all acquired at yard sales for pennies, but they are perfect on this particular shelf. I also made a list of the spices on each shelf for easy referral. I just leave the list on the shelf so I can check it to see where a certain spice is located. I loaded the list onto a new computer program called Evernote (Evernote.com) which I can pull up on my phone when I’m at the grocery store. Evernote.com is a free software program. You might check it out for yourself! Sunday morning I fried up bacon—a whole pound of it, then stored in the fridge. 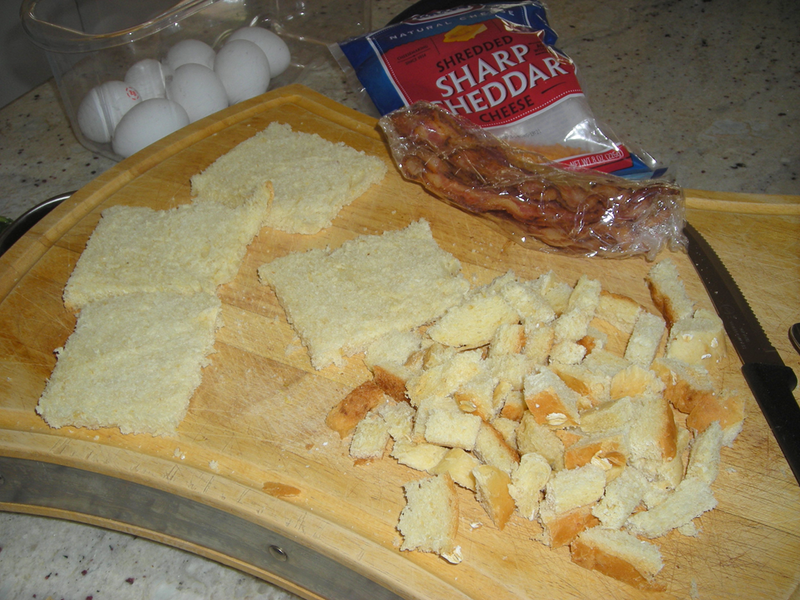 Four slices I partially cooked, not until crisp, for this morning’s breakfast. Cut off the crusts of four pieces of bread. 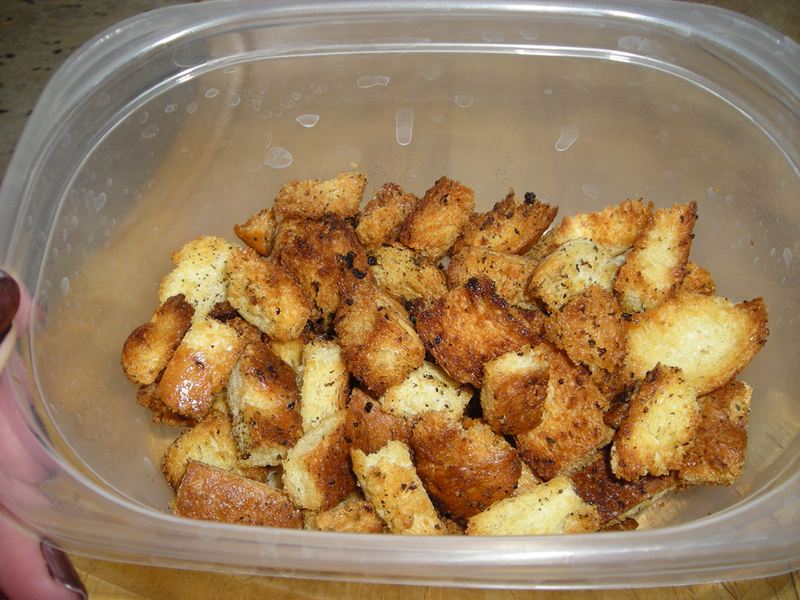 Go ahead and cut up the crusts, you can make croutons for your dinner salad at the same time. 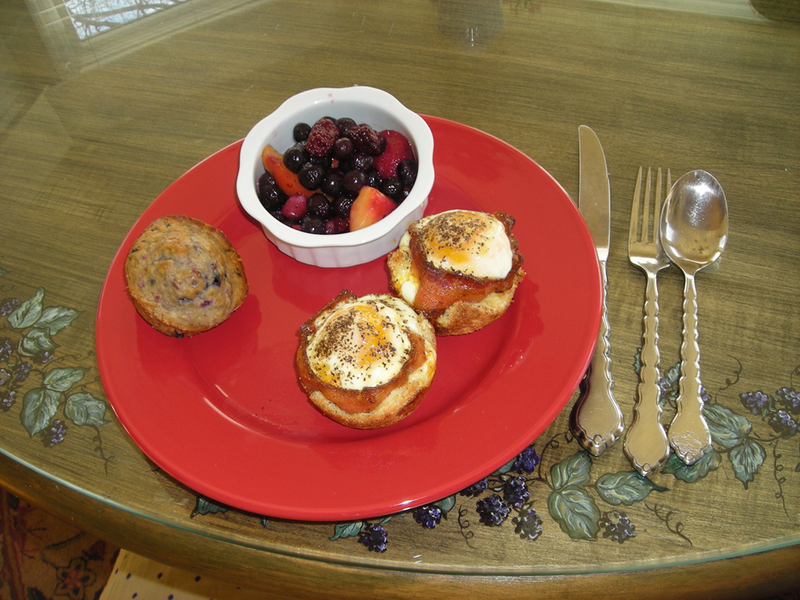 Spray muffin tin with baking spray and press the bread into the cups. Wrap a piece of bacon inside the bread, then place some shredded cheddar inside the bread cup. 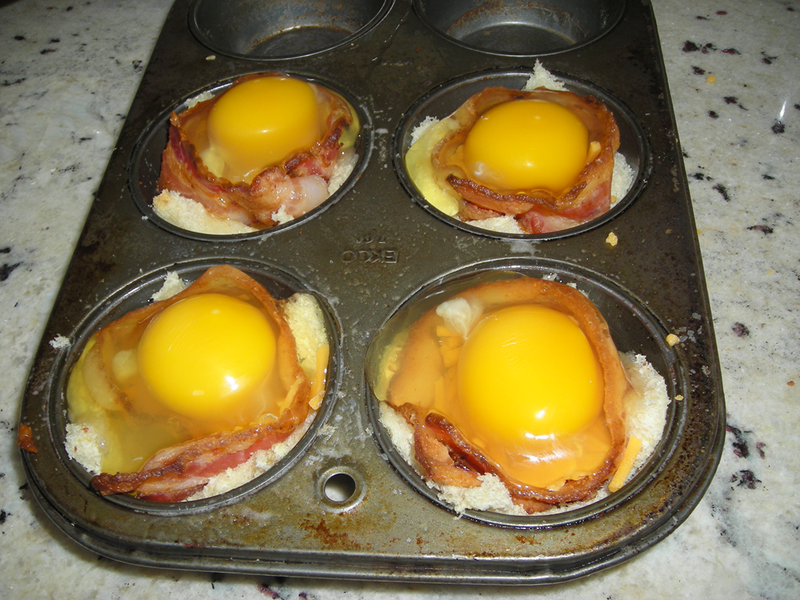 Place an egg on top and bake at 400 degrees for approximately 15 minutes. 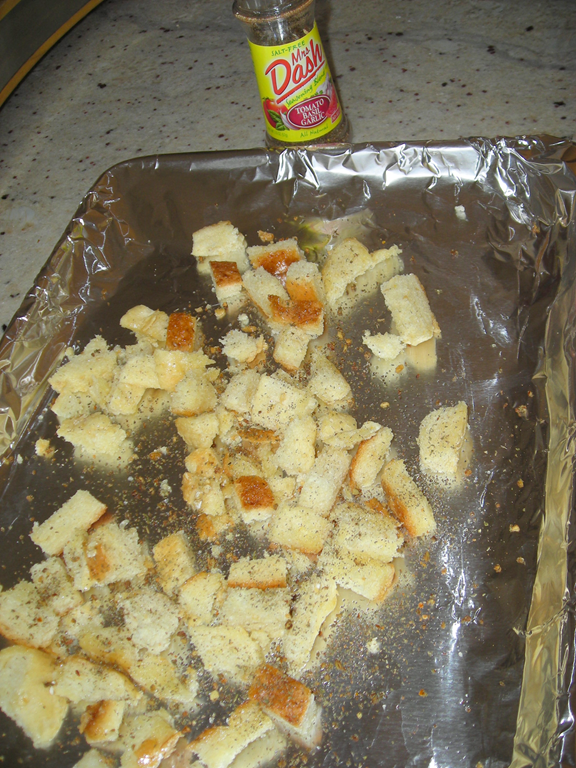 Before you put the muffin tin in the oven, place your bread cubes on a foil-lined tray, use a little olive oil and some type of seasoning and toss. 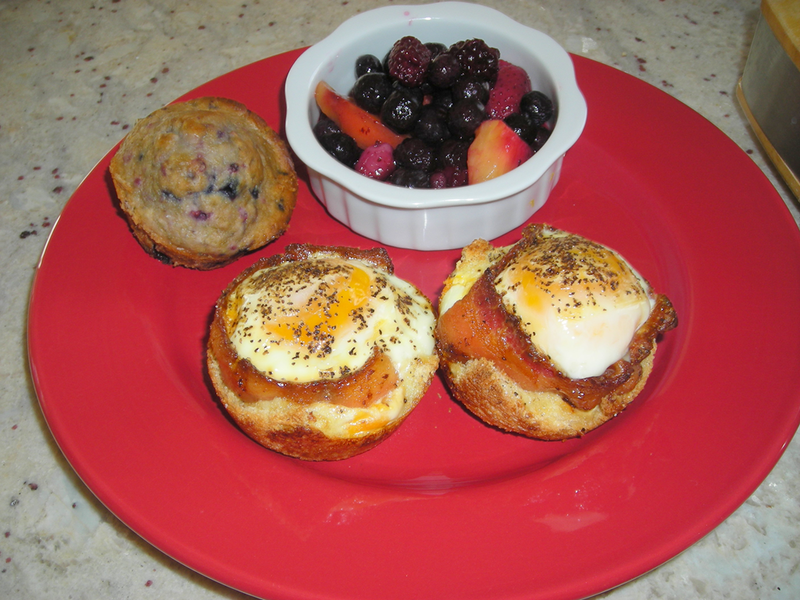 You can bake the bread cubes at the same time, but they will be done before your eggs are. Watch them! I happened to find some Ms. 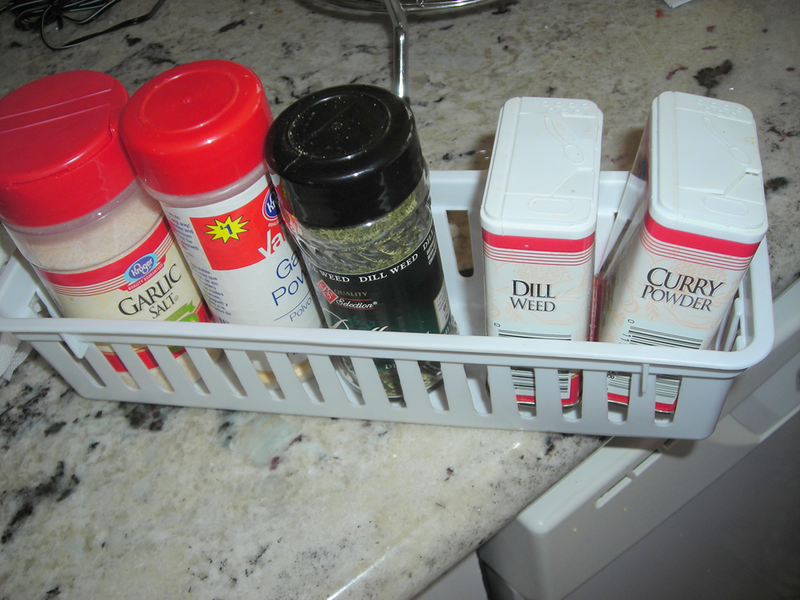 Dash seasoning while cleaning out the spice cabinet, so I used it—they turned out quite good! to which I added about 1/3 cup of frozen berries I had in the freezer. They needed to bake a little bit longer than the package said. 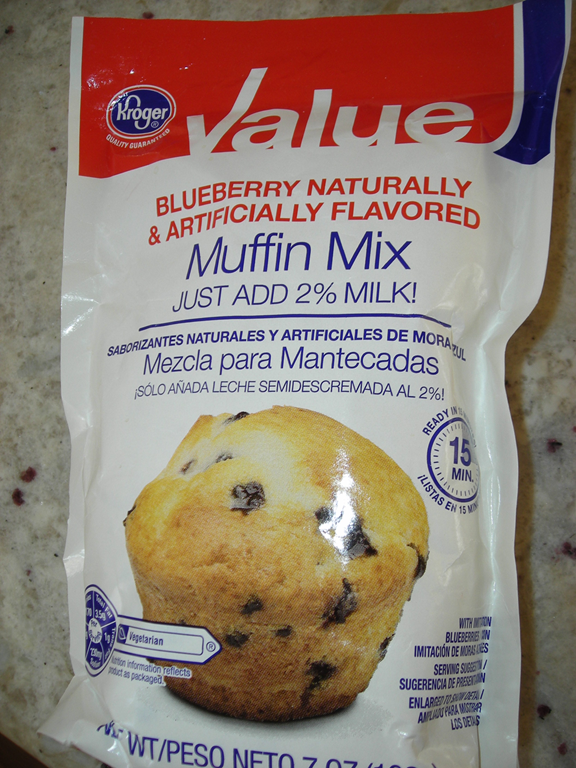 This makes 6 muffins, just enough to last the two of us a couple of days.